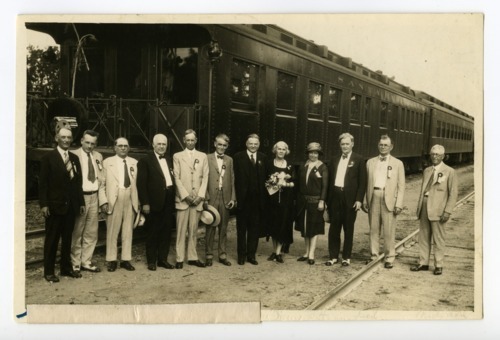 This sepia colored photograph shows Herbert Clark Hoover, Republican candidate for Presidency, with members of the Kansas Republican party campaigning in Strong City, Kansas. The campaign trip took Hoover from Dodge City to Topeka. Individuals captured in the photograph are identified on the reverse of the photograph.